Sometimes life gives us pleasant synchronicity. 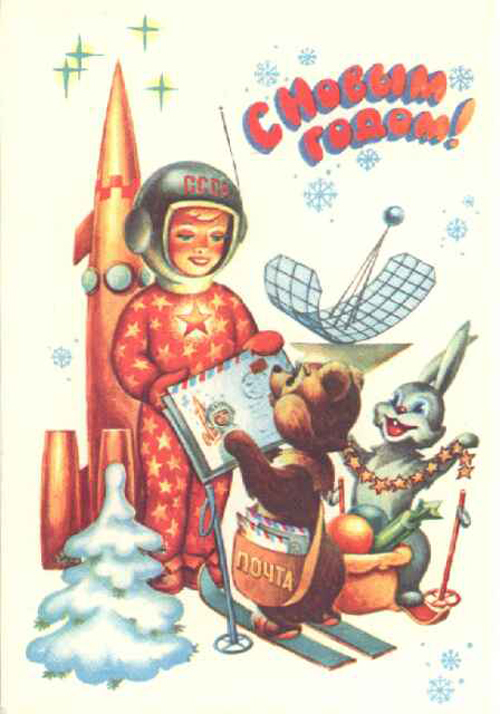 I was planning to post my old collection of Russian spaced themed Christmas cards, and woke up to an email from Vlad containing a portion of the cards in my collection…and then some! 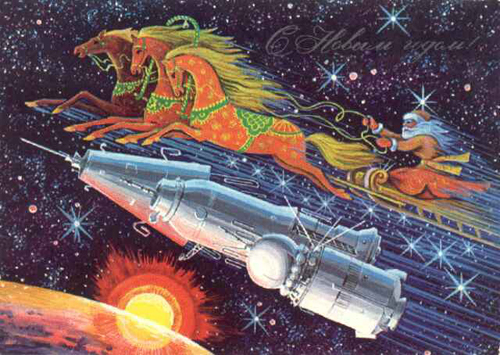 I’m not sure why I love the combination of outer space and Christmas so much. Perhaps it’s because if we’re going to celebrate a man who defies the laws of physics, why not go ALL OUT with it? I could easily use up my image space by posting many more…but I’ll hold off. 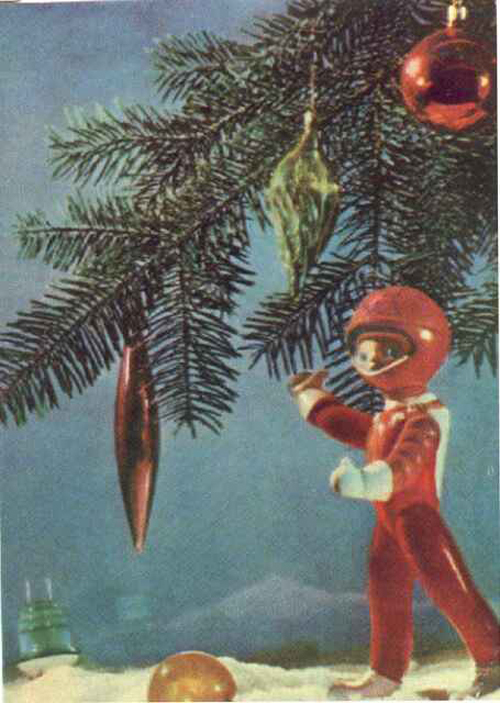 This entry was posted on December 23, 2009 at 8:47 pm and is filed under christmas, ephemera, postcards, retro, sci-fi, vintage with tags christmas, ephemera, postcards, retro, sci-fi, vintage. You can follow any responses to this entry through the RSS 2.0 feed. You can leave a response, or trackback from your own site. Two things I love. 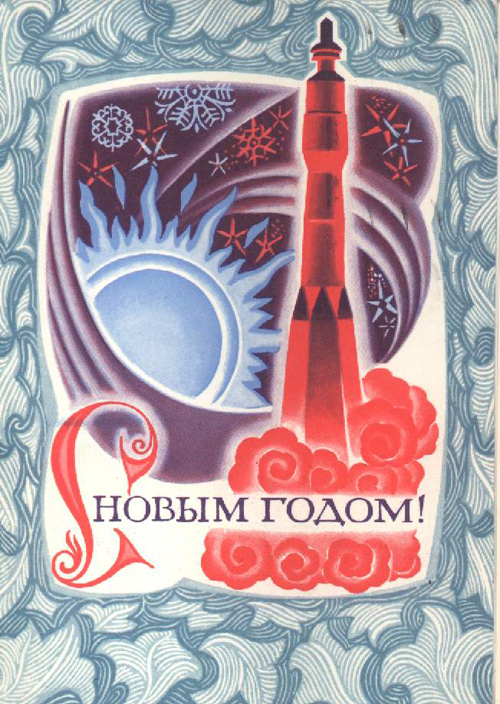 Early Soviet Space Program iconography…and Christmas! Yay! 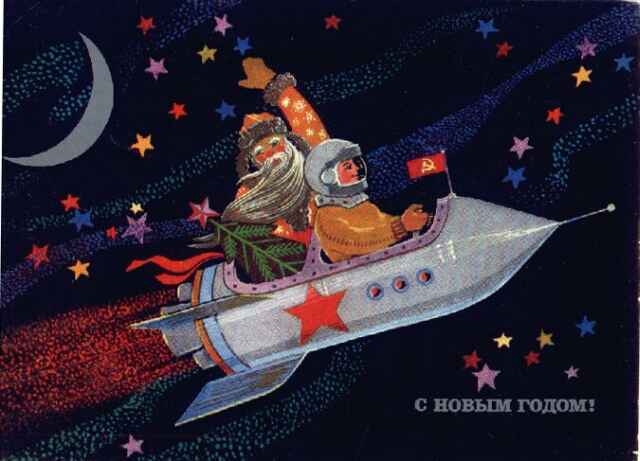 Randall, I just did *another* post about Soviet Santas…though they have weapons instead of rockets. I loved your card, thank you so much for thinking of us!!! It ssiuorely made my day and now it is on our board in our kitchen chilling with all the other people we love!! This picture is to die for by the way!!! It is so joyous and happy and cute! It captures so much love and joy!